We created Popularise—the online crowdsourcing website that provides a platform for real estate developers and public agencies to source ideas for new development projects—to empower communities and provide them with an outlet to express what they want to see local real estate projects become. And as we began to develop the platform, we wondered if the real estate development industry would embrace it? The idea behind Popularise ran completely counter to industry norms because in the real estate development industry it is customary to share as little information as possible with the public, let alone to ask the local community to get involved. We rolled out Popularise in December 2011 and currently have 12 buildings and projects up on our site, two of which are based in Seattle. It has been very gratifying to watch progressive developers and cities embrace this new collaborative approach to neighborhood development, and nowhere more so than in Seattle. The first large company to approach us about using Popularise was Skanska USA who wanted to seek the input of residents, future customers, and workers near one of their Seattle developments. And they didn’t start small. 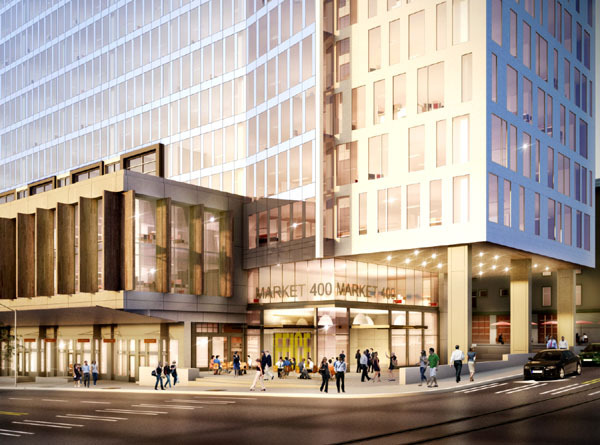 At 400 Fairview, in South Lake Union, they have proposed a 350,000 square-foot, mixed-use project, where they envision a first floor market similar to Chelsea Market in New York and the Ferry Building in San Francisco. Then the Magnuson Park Advisory Committee approached us about using Popularise to seek renovation ideas for Building 18 (The Old Firehouse). The building was submitted by Julianna Ross, chair of the Magnuson Park Advisory Committee, in an effort to save the building from the Park’s demolition list. I may be stating the obvious, but it seems Seattle residents adopt new technologies quickly. In both instances, the two projects have seen thousands of people submit, view and support ideas on Popularise. On Friday, Fast Company wrote an article about how Skanska is adopting a new way to develop local real estate in partnership with communities—a nice validation for a company who took a risk opening themselves up to the public. Also, last Monday the Mayor of Seattle announced that he was taking Building 18 off the demolition list and is allocating $1 million in the upcoming budget to restore the building. In both cases, we see inclusive, broad-based approaches to community engagement as a catalyst for making good things happen. My personal view is that the key is sharing power and providing a tool for transparency. Most people want to drive progressive growth but have limited opportunities to affect their environment, so when a developer or public agency asks for input and help, residents are excited to participate constructively. Unfortunately, I don’t live in Seattle but I would love to hear what you think. Why has crowdsourcing local real estate development worked so well in Seattle? Do you have suggestions for what we should do next in the Emerald City? Ben Miller is co-founder of Popularise, and also co-founder of Fundrise, which was discussed in this recent Citytank post. I think this is a great idea. I live in seattle. In seattle I think some of the biggest barriers to progress is a people vs developer and vice versa perception and restrictive zoning. I think a company like this could help to minimalise both of these issues. Through letting the community have some involvement you erase the perception that all developers only care about profit and have no regard for the community (there are of course some bad developers.). This will also allow some residents to open up to the idea of residents to open up to the idea of taller buildings or a wider veriety of land uses in their hood. I would love to be able to work for a company like popularize.